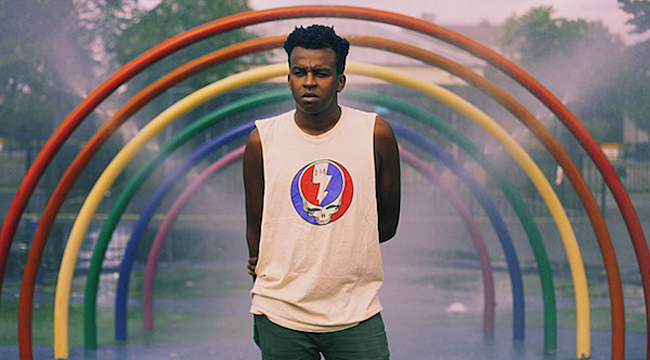 The music video for “How We Be,” the first single from Sinkane’s (Ahmed Gallab) latest album, Mean Love, serves as an ode to New York with its images of various neighborhoods. It includes step, ballet, breakdancing and other styles of dance, appropriately mixing together different art forms, just like the music that the London-born Sudanese producer makes. We called Gallab at his Brooklyn home to talk about the album and his approach to making music. You moved around a bit when you were growing up. Talk about that experience and how it’s influenced your music. It gave me an interesting perspective. I feel like moving around gave me the opportunity to see how young people experienced the world. All my friends in Utah still live in Utah and all my friends in Ohio still live in Ohio. My friends in New York are transplants. It was nice to see how these people experience music in the same way and in a different way. It influenced me to experience the world with an open mind and see there’s so much to offer. I took that aesthetic and put it in my music. I try to bring different ideas to it and see how I can piece them all together. Did you have an epiphany when you were young? There are two moments. I played my first show when I was 11 years old. I was opening up in Provo for a high school band. It was like playing at a bar that wasn’t a bar. It was a club scene. I played it and I realized I wanted to play drums in a band. I went to high school in Kent, Ohio, and saw Spiritualized at the Agora [in Cleveland] and they blew my mind. I had never even heard of them before that night. I was so blown away by the experience and how captivating it was. It really influenced me. I think it was in 2000. It was a gnarly show. It was really, really cool. You started out as a session musician. When was your first session? It was for Caribou. I saw them in October of 2007 at the Grog Shop in Cleveland. I was living in Columbus at the time and we drove to the Grog Shop. My friends HotChaCha were playing with them. I passed [Caribou’s] Dan [Snaith] my record. I was a huge fan of that band. I told them my music was inspired and influenced by his story and his music. He wrote me back and really liked my music. The drummer Brad [Weber] broke his wrist for two months so I went out with them. You made the transition to solo artist in 2007. How difficult was that? It was tough. It was a hard transition. Playing with Caribou or of Montreal or Yeasayer gets really comfortable. You play music for a living but you don’t have that much responsibility. I enjoyed that and touring the world. When you go back to your own thing, it’s like starting at square one. I had to learn to do everything myself. Ultimately, it’s totally worth it. It’s what I wanted to do and I want it to be as successful as the bands I played in. I’m very happy that I made the leap and just want to get better from here. Talk about your approach on Mean Love. What were you going for sonically? With the record, I wanted to take on the idea that I started on with [2012’s] Mars. It’s about my African influence–Sudanese and east African sounds and reggae. I wanted to bring all those influences together and create some kind of melting pot. I found a relationship between all those types of music. — African, country western, soul, funk, reggae — they have a similar vibe. The people who make that music come from similar places. I thought it would be interesting to bring all those ideas together and create a new sound out of that. The album opener, “How We Be,” mixes together different genres. It has a funky bass riff and some electronics and soulful vocals. Talk about the song a bit. The last song on Mars ended with a real solid and tantric groove. When we were working on the record, we wanted to have the first song establish a continuation of the last song on the last album but also welcome a new beginning. The video was a way of trying to interpret that song through a visual aspect. What does the song make you feel? We thought it would be cool to take different genres of dance and give the dancers the ability to interpret the song. It brings up the light-hearted spirit of the music. You really understand the song and the vibe of the song. I do, yes, but I’m not a professional dancer. I just dance when I go out with my friends. The woman on the rooftop is great. What’s the live show like? We have Ish Montgomery, Jason Trammell and Jonny Lam. In New York, we have a bigger band. We have two singers and a horn section. The four of us get along well. It has a really cool, family vibe. We like to play together a lot and the songs end up being a little louder and a little more energetic live.